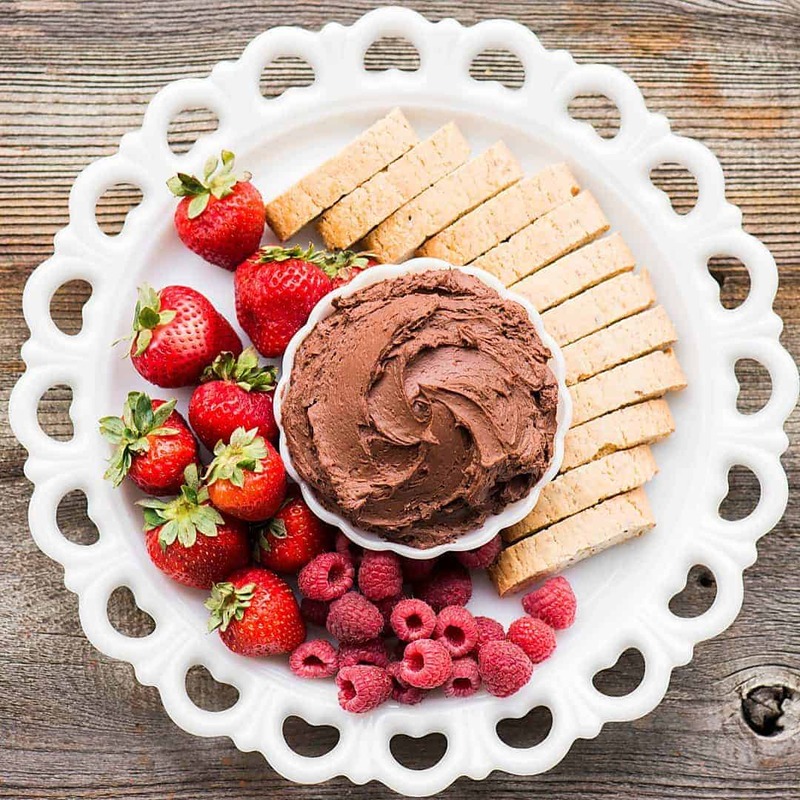 Chocolate Fruit Dip tastes like a heavenly chocolate cheesecake. It’s the perfect sweet appetizer or dessert when served with cookies and fruit. Chocolate Fruit Dip is heavenly. There’s really no other way to describe it. By next summer, expect to see this recipe as the filling for a no bake chocolate cheesecake. Not sure if this recipe really qualifies as an appetizer or a dessert. I can definitely see it being a huge success at a party, but I tend to think of appetizers as more savory like my smoked salmon dip or a warm cheesy dip like my football fondue. 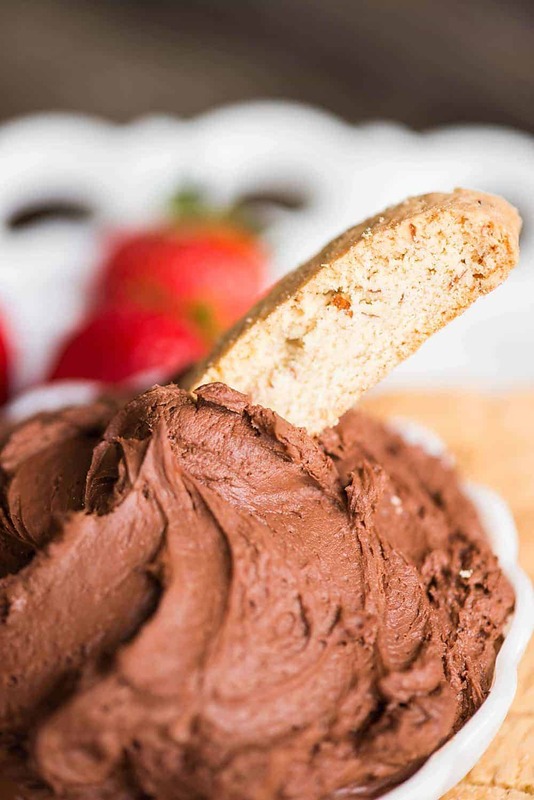 There are a lot of recipes out there for chocolate fruit dip and they all seem to vary a little bit. Some call for cocoa powder, some call for melted chocolate. I did what any chocolate lover would do and used both. 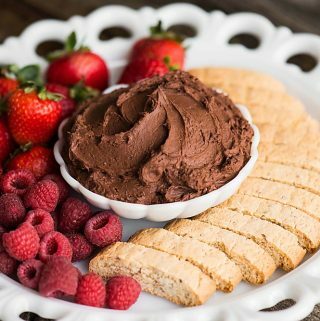 This chocolate fruit dip is rather thick, especially if served colder than room temperature, so you’ll need to serve it with a strong cookie that can put up a fight, like a biscotti, and if serving with soft fruit like strawberries and raspberries, your best bet is to serve it with a spreader. Or, you could be like me, and take the entire tray and a giant spoon and go watch an episode of some home remodeling show on HGTV. 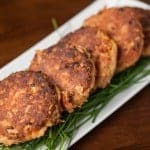 If quick and easy appetizers are what you’re looking for, here’s a list of suggestions including both hot and cold savory recipes. Buffalo Cauliflower Bites taste so much like traditional chicken wings, but are a healthy vegetarian version perfect for a light snack. Watch the recipe video below of me making my favorite Cream Cheese Fruit Dip Recipes! 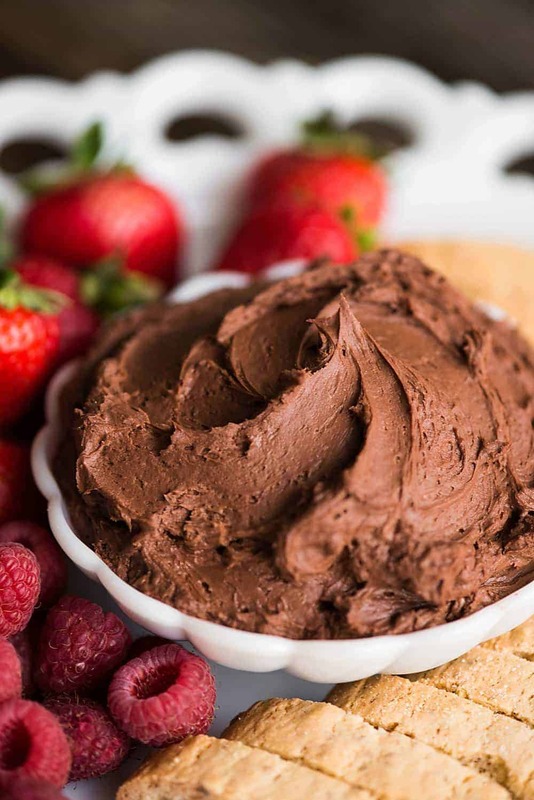 Chocolate Fruit Dip tastes like a heavenly chocolate cheesecake. It's the perfect sweet appetizer or dessert when served with cookies and fruit. 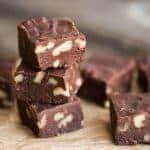 To melt the chocolate chips, microwave using 50% power in 1 minute increments, stirring after each minute, until melted and smooth. To make fruit dip, combine all ingredients. 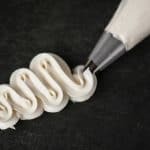 Mix together until smooth using electric hand mixer or stand mixer with paddle attachment. Serve with biscotti cookies and fresh fruit. Dip will be very thick because of the melted chocolate, so a spreading knife is recommended if the fruit is soft. 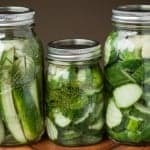 Can this be made in advance and stored in the fridge, or does it become hard? Wondering how the melted chocolate does. Yes! It does get hard, so just make sure it comes to room temperature before you serve it. Can you freeze this chocolate dip? I don’t see why not? I would just allow for plenty of time to defrost in the refrigerator and you might need to give it a good whip and allow to come to room temp before serving.